Having flights left on our OneWorld Ticket and friends in Oregon to visit we headed off to PDX. 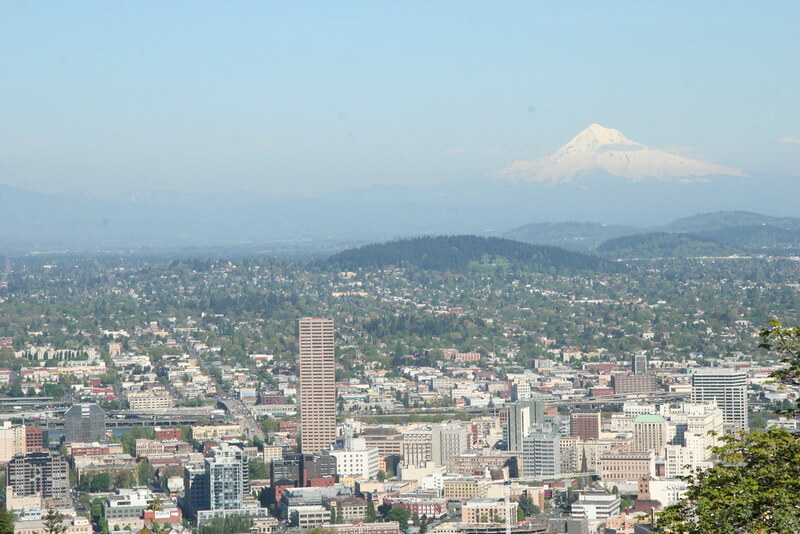 Portland, with it’s rivers and bridges, it’s mountains, manageable city size (and professional soccer team), has long been near the top of the relocation list for LeeAnne and I. In all honesty at the beginning of the trip I thought we may be looking to move out there when we returned to the States. But being away from everyone you know for the better part of a year changes what you want sometimes, and at the moment I don’t think we want to move to a new city, make new friends, and start things all over. We’ve kind of been doing that every three to four days for the last year. So a visit it is, although our Portland hosts Suzanne and Jeff did offer to hook us up with a real estate agent before we got into town and there was a bit of heavy questioning about just why we wouldn’t be moving to Portland ASAP (FYI – If PDX had an MLS team rather than a minor league soccer team, it would help). We did many of the Portland “Must Do’s”. We went to Powells City of Books, the book store that takes up a whole city block downtown. We rode bikes in the rain. We ate at Voodoo Doughnuts. We were rained on. We skipped the Rose garden (but we had been there before). And we drank Fair Trade coffee at a vegan bakery from mugs made on site by local peoples with special needs …as it rained outside.